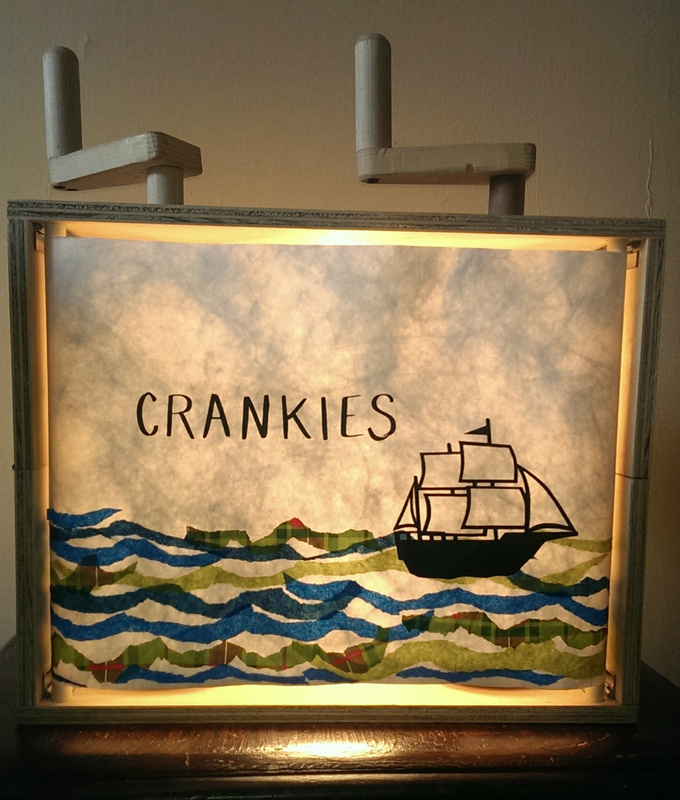 A crankie is an old storytelling art form, popular in the 19th century. Start with a long illustrated scroll that is wound onto two spools. The spools are loaded into a box which has a viewing screen. Then the scroll is hand-cranked while the story is told, or a tune is played or a song is sung. Podorythmie has been performing crankies since 2011 and has a repertoire of over 20 stories. To learn more about crankies, visit Sue's website The Crankie Factory. 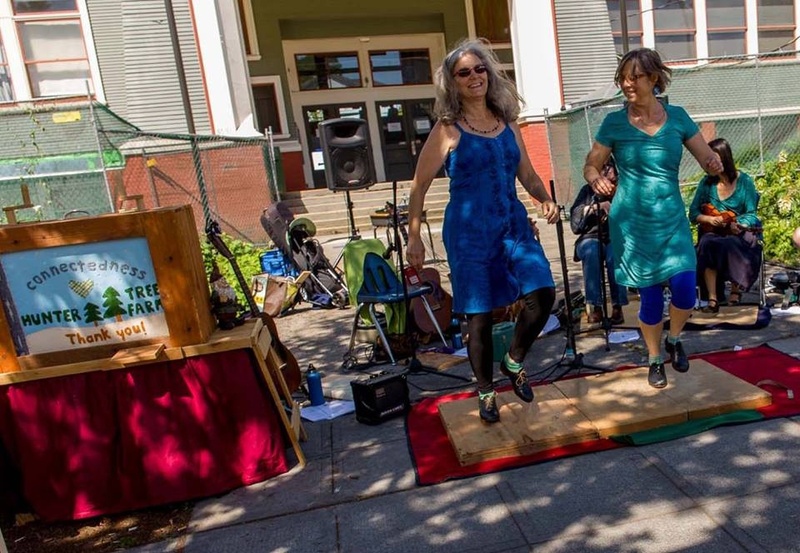 Podorythmie closed the Crankie Fest at the NW Folklife Festival, May 28th, 2016. Here are a few snippets of our rehearsal along with Squirrel Butter (Charmaine Slaven and Charlie Beck) and Holler and Glen (Melanie Brauner and Kevin Auld) Great fun!! 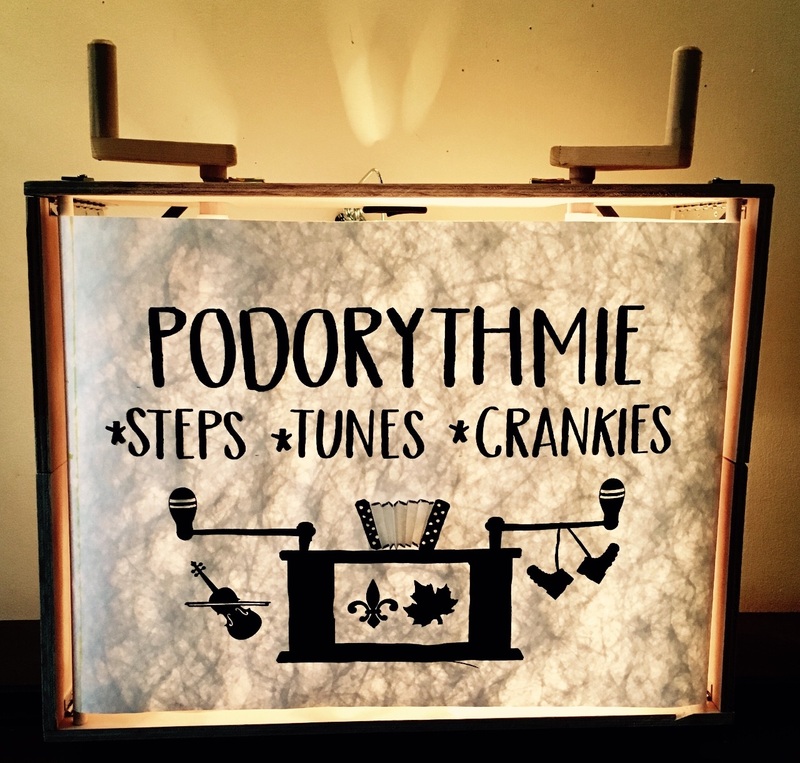 Podorythmie has been performing crankies since 2011 and have about a dozen different crankies in their repertoire. Sue creates the scrolls. Julia does the cranking during the performances and Prairie has taken on the shadow puppetry. We've performed at house concerts, schools, farmer's markets, crankie festivals and hockey bars! Valse des Sucres, also known as the Good Neighbor Waltz was composed by John Arcand. 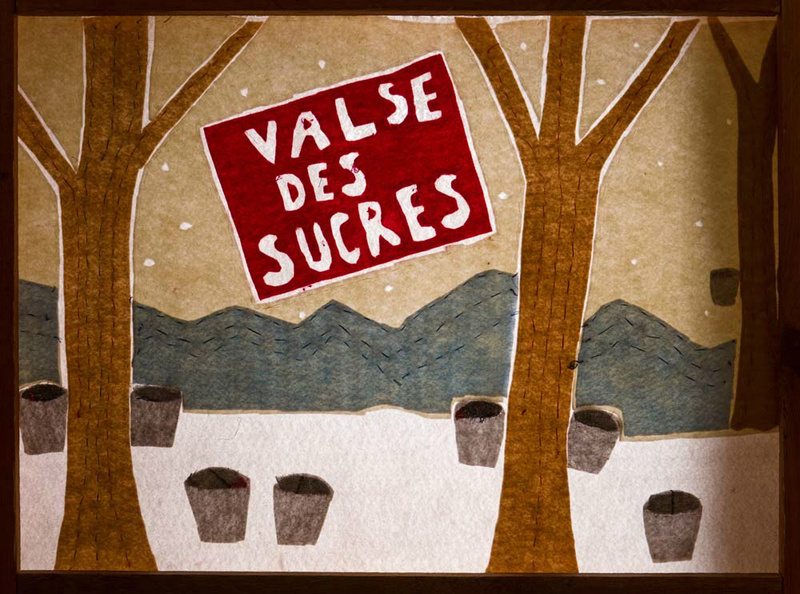 The images are of maple sugaring season in Quebec: gathering the maple sap, sugar shacks going night and day followed by celebrations of music, dance and of course, enjoying maple syrup! Valse des Poeles or Waltz of the Stoves. The beautiful waltz was composed by Simon Riopel of Quebec. It is a celebration of winter activities. 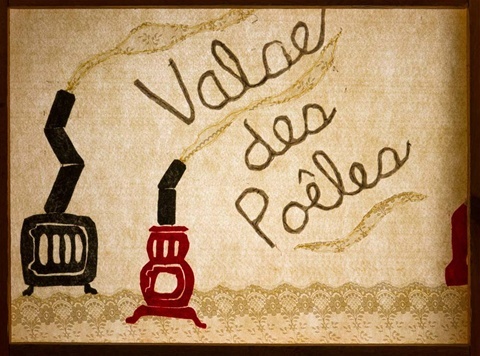 The scroll is made from lace, fabric and felt hand-stitched to felt. This is Podorythmie's first crankie using shadow puppetry. It was recorded December 2013 at the home of Devon and Dejah Leger at the monthly Quebecois session. Watch the video below! A crankie show at one of numerous community events. This is a block party at the home of Doug Plummer and Robin Shapiro. Panoramic stitched photo by Doug Plummer.